I LOVE recommending CLA for weight loss! Why? CLA is a fat burner that works even better when combined with exercise! The fact that it’s natural is a bonus. 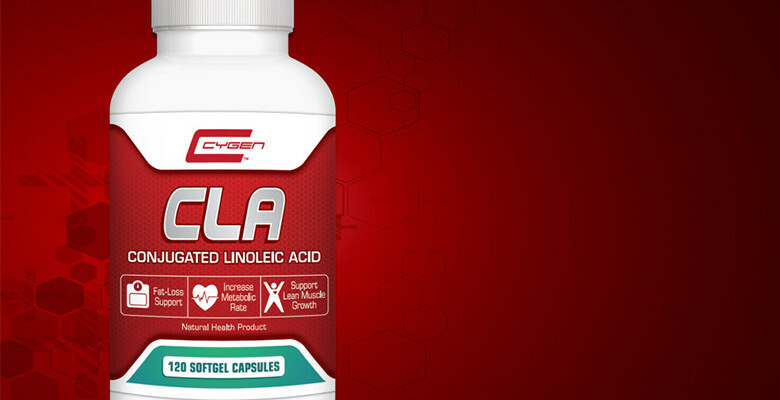 CLA is a free fatty acid that comes from linoleic acid. For those who live for right answers on Jeopardy, “Conjugated” linoleic acid is essentially conjugating or moving double bonds in the chain. In a nutshell, double bonds end up separated by one carbon bond. CLA goes straight to the mitochondria or energy powerhouse in cells without a carrier system. More fatty acids in the mitochondria means increased energy for YOU! CLA is an easy way to optimize gym time, ensuring our body uses and stores energy efficiently. CLA helps promote the body to use fatty acids as a source of fuel! 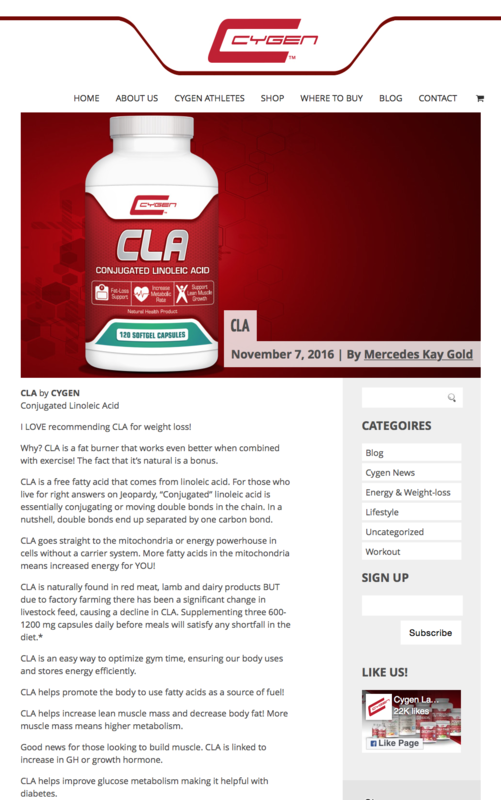 CLA helps increase lean muscle mass and decrease body fat! More muscle mass means higher metabolism. Good news for those looking to build muscle. CLA is linked to increase in GH or growth hormone. CLA helps improve glucose metabolism making it helpful with diabetes. CYGEN’s CLA contains 1000 mg of safflower oil. Each capsule is 80% Conjugated Linoleic Acid. Dr. Natasha Turner, ND says, “CLA is one of my favorite choices for the treatment of insulin resistance and inflammation. It’s also my top choice or preserving muscle during weight loss.” ** Dr. Turner recommends 1500 mg twice daily for at least three months. I love seeing clients supplement with CLA by CYGEN! It’s an easy and effective way to boost weight loss and build muscle with a hint of help NATURALLY! *Harris, Colette and Cheung, Theresa. PCOS Dietbook: How you can use the nutritional approach to deal with polycystic ovary syndrome. Hammersmith: Thorsons, 2002. **Turner, Natasha, ND, The Hormone Diet: Lose Fat. Gain Strength. Live Younger Longer. Canada: Random House, 2009. Always consult with MD or ND before beginning any new health or diet supplement. Mercedes Gold is a CNP and PT living and loving life in Toronto.